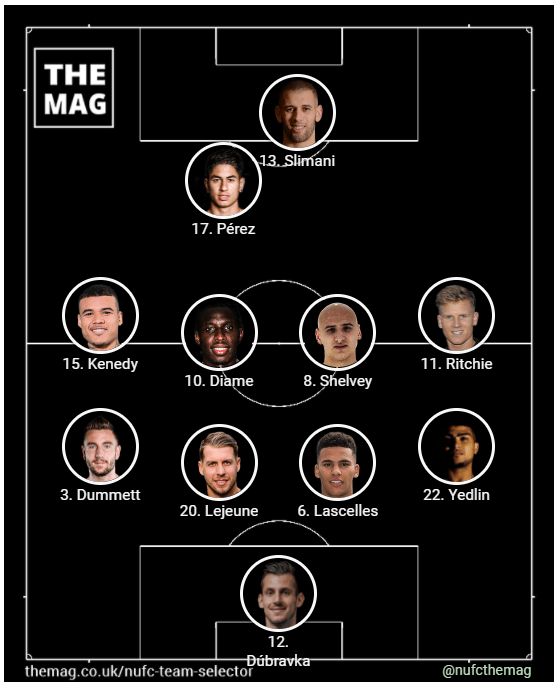 We asked fans the question, which 11 players would you pick in your Newcastle team v West Brom? We put together a list of the 22 players who could potentially be selected for this 3pm Saturday afternoon kick-off. Rafa Benitez having made clear everybody apart from Christian Atsu and Mikel Merino were available. An astonishing 10 selections got 92% or higher support for the last match at Everton, this time nine of them got 88% or higher. The odd one out is Ayoze Perez. For Perez it was 92% last week, Slimani 86%, and then Dwight Gayle a distant 12th highest with 19%. A more confused picture up front for today but the fans have largely stuck by Islam Slimani with 81% support, no surprise really as he needs a run of games to get fully fit and Newcastle need to see him play, if there is any interest in trying to buy him. As for Ayoze Perez, he has dropped from 92% for Everton to 69% for today, whilst Dwight Gayle has risen from 19% to 46%. Whilst there has been talk of Rafa potentially giving some other players minutes on the pitch, I think today he will start with a very similar team to recent games. I think the one decision where he has a choice to make is whether to play with Perez or Gayle and I think he will give Slimani and Gayle a chance today against West Brom, even the supporters overall have stuck with Perez..